We went on a Tamil Nadu trip in October 2018 during Dussehra festival. We took the morning flight from Hyderabad and the landing at Chennai airport was at around 10.30 a.m. We proceeded to Quality Inn Airport hotel where we pre-booked an accommodation and went to one of our relative's house for lunch. On Day 1 of our Tamil Nadu trip first we went to Kapaleeshwar temple located in Mylapore. As it was Dussehra festival, the temple was heavily crowded. After having darshan, we proceeded to Parthasarathy temple in Tripliane. This is an ancient temple located in Triplicane, Chennai. Triplicane was originally known as Tiruvallikeni. This is a busy area in the heart of the city and is well connected with different areas of Chennai. Triplicane and Mylapore are historically much older regions than Chennai. Chennai (former name Madras) is the capital city of Tamil Nadu. It is one of the four important metros of India. Chennai is a cosmopolitan city with modern outlook yet the local people here are very traditional. The city is well connected with many places of India by air, rail and road ways. It is also well connected with major foreign cities by air. The city is located on the east coast of India facing Bay of Bengal with a long shoreline. It mostly experiences hot and humid weather. There are a good number of tourist attractions and a good number of old as well as new Hindu temples to visit. Parthasarathy temple is one of the 108 Divya Desams i.e. premium places of Lord Vishnu. The temple is mentioned in the Divya Prabandha (the compilation of the Tamil Alwars) of the 6th-9th century CE (Current Era). It is one of the oldest structures in Chennai and is an important Vaishnavite temple. It was renovated by one of the Pallava kings. 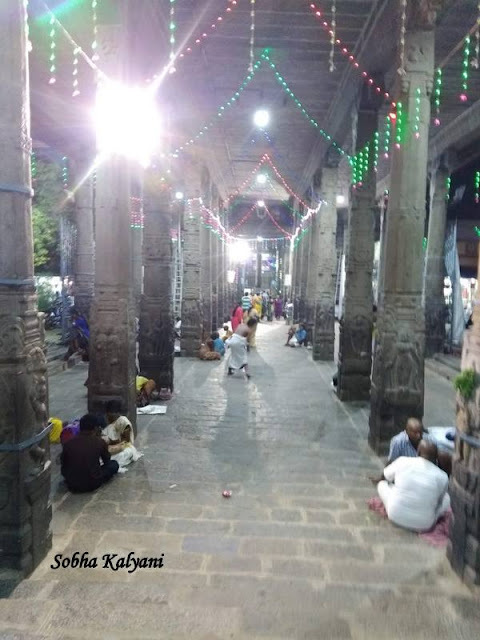 The main deity of the temple is Parthasarathy The Sanskrit word 'sarathi' means charioteer and as Lord Krishna was the charioteer of Partha (one of the names of Arjuna - the Pandava prince) in Mahabharata war, He is known as Parthasarathy which literally means the charioteer of Partha. Lord Krishna is one of the Dasavaratams of Lord Vishnu. 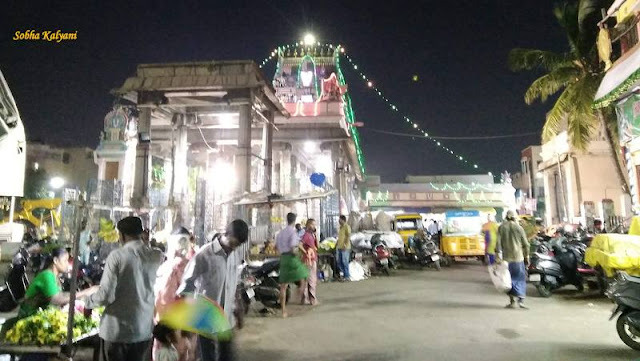 The temple opens at 5.50 a.m with Tirumanjanam followed by Suprabhatam. It closes at 12.30 p.m. It again opens at 4 p.m in the evening and closes by 9 p.m except on Saturdays and on special occasions. Inside the temple premises, there is a separate shrine for Vedavalli Tayyar who is one of the forms of Goddess Lakshmi Devi. There is a small prasadam counter at the entrance where devotees can purchase laddus, murruku etc. During our recent visit to Chennai in October, 2018, we visited this old temple which is not so well maintained may be due to some renovation which is being done. The temple is not in a good condition and needs to be uplifted. There are good number of temples to visit in Chennai and many tourist attractions which include Marina Beach - the longest beach in India and the second longest beach in the world. Shopping lovers enjoy shopping at Pondy Bazaar and Ranganathan Street in the busy crowded area of T.Nagar. Most of the items are sold at these places at a very reasonable rate.